• Experience the Blockbuster Action from the Avengers Films - Relive the most amazing moments from the Marvel Cinematic Universe, including the famed Battle of New York between the Avengers and Super Villain Loki as seen in Marvel's The Avengers, experience the epic action from Marvel's Avengers: Age of Ultron with The Avengers, Quicksilver, Scarlet Witch, Vision and Ultron, journey through familiar Marvel cinematic locations and more, all with a splash of classic LEGO humor! 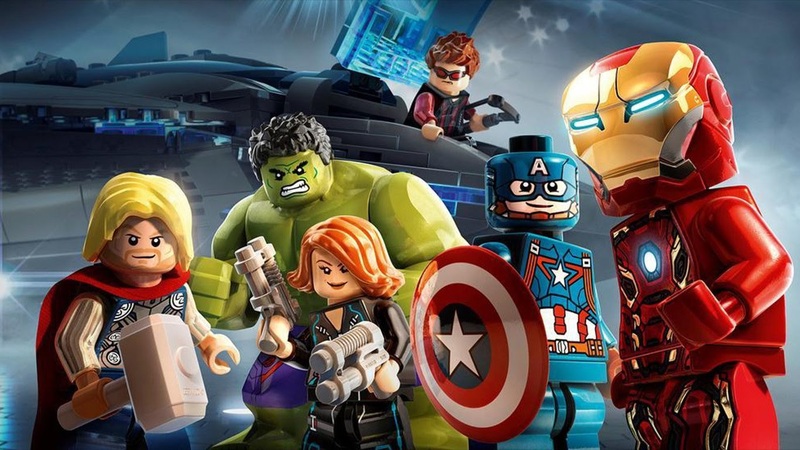 • Diverse Roster of Characters - Play and unlock more than 100 new characters that have never appeared in a LEGO game before, including Super Heroes and Super Villains from the Marvel Cinematic Universe, as well as classic Avengers characters featured in Marvel Comics. • Variety of Iconic Marvel Cinematic Locations - Adventure through iconic settings from the Marvel Cinematic Universe as seen in Marvel's The Avengers and Marvel's Avengers: Age of Ultron, while also experiencing playable content and locations from additional Marvel Studios blockbusters, including Marvel's Captain America: The First Avenger, Iron Man 3, Thor: The Dark World and Captain America: The Winter Soldier. • New Character Powers and Abilities - Execute Avengers Team-Ups and Avengers Initiative moves to progress through the story. Players can roam around Open World environments using brand new gameplay mechanics - play as Hulk to super jump off skyscrapers, use Quicksilver to speed run over water or even play as giant characters like Fing Fang Foom who can grow to the size of buildings. • Open World & Free Roam Gameplay - Enjoy a unique take on open world gameplay while exploring the expansive streets of LEGO Marvel Manhattan, or discover up to seven other supporting HUB environments from the Marvel Cinematic Universe, including Asgard, Sokovia, South Africa, Barton Farm, Malibu, Washington D.C. and the S.H.I.E.L.D. Base Exterior. Encounter numerous quests, races, puzzles and even random crimes, as well as a myriad of characters and vehicles to choose from to explore on land or in the air. Once again this is a LEGO game that is available on more consoles than you can waggle a power stone at.